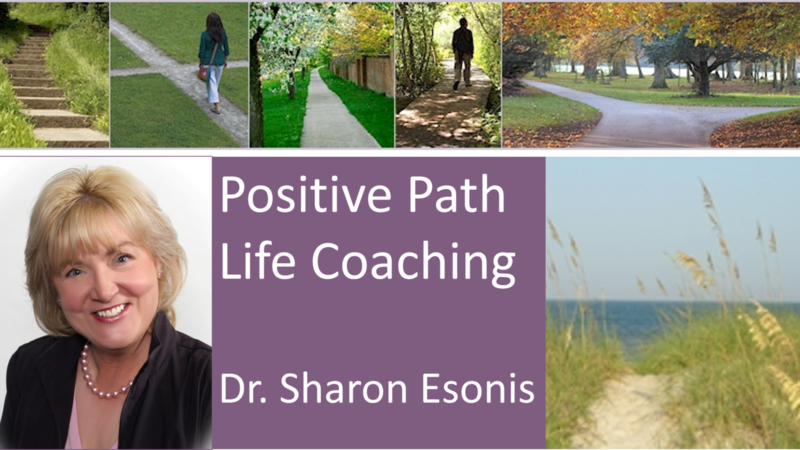 Hello, my name is Sharon S. Esonis, Ph.D., and I have spent over three decades helping individuals thrive as a licensed psychologist, author and life coach. With my education and training in human behavior and motivation, I specialize in the field of Positive Psychology -- the scientific study of optimal human functioning and the strengths that lead to achieving one's personally-defined goals. I received my doctoral degree in Counseling Psychology from Boston College and have undergraduate degrees from Ohio University. I am licensed to practice psychology in both Arizona and Massachusetts. I currently have a personal life coaching practice in San Diego County emphasizing the benefits of Positive Psychology. My website is www.PositivePathLifeCoaching.com. Is the Positive Path Right For You? Are stress and/or anxiety blocking progress toward reaching your goals? Are you changing careers or returning to the workforce? Are you prepared to learn how Positive Psychology can enhance your personal and professional success and lead to the good life? Are you ready to make the transition from Good to Great? If your answer to any of these questions is “yes,” then a customized, personal life coaching relationship may be just the ticket for you! When you work with Positive Path Life Coaching, you have so much to look forward to! Doctoral Degree: Ph.D. Program, Behavior Therapy/Counseling Psychology (1986), Boston College, Chestnut Hill, Massachusetts. Internship: Tufts New England Medical Center (1982-1983); Temporomandibular Joint Pain Clinic/ Psychophysiology Laboratory. Behavioral medicine, biofeedback, relaxation training, patient problems including headaches, jaw pain, anxiety, depression, back pain, vertigo and psychiatric symptoms. Master's Degree: Counseling Psychology, Ohio University, Athens, Ohio. Teaching Assistant in graduate training. Hello, my name is Sharon Esonis, and it has been my pleasure and honor to have been involved in the lives of so many individuals over the past 30 years! Actually, my passion for working with people in the positive transformation of their lives started at a very early age. As the oldest of eight children, I had many opportunities to learn about human behavior and motivation, especially from my six brothers! So it was no surprise to family and friends when I earned my Master's Degree in Counseling at Ohio University, and then my Ph. D. in Counseling Psychology at Boston College. My training at Boston College was particularly inspiring since I was mentored by an eminent psychologist who was renowned in the field of Cognitive Behavior Therapy. As luck would have it, he was teaching Positive Psychology long before it came into vogue. I was his co-author of a professional manual for the assessment of children, and I also served as his teaching and research assistant. I am licensed in psychology in Massachusetts and Arizona. In addition to my many years of private practice as a clinician and coach, I also supervised Masters and Doctoral students in their clinical work at Arizona State University. I have served as a staff psychologist at a hospital in Arizona, and I've lectured at hospitals and to the general public on topics such as stress management, meditation, assertiveness, relaxation training and sleep management. I previously taught classes in Positive Psychology, Stress Management and Anxiety Disorders in the Extended Learning Program at Cal State University San Marcos. Today, my private practice is dedicated exclusively to personal and professional life coaching. 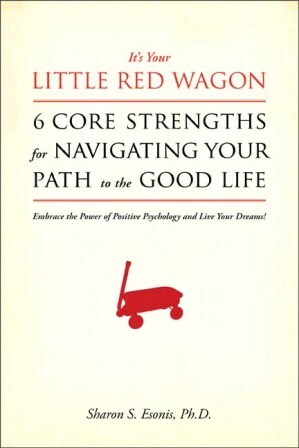 My first book -- It's Your Little Red Wagon... 6 Core Strengths for Navigating Your Path to the Good Life -- is available in both print and e-book editions. This is my initial contribution to the field of Positive Psychology and contains much of what I've learned about building a life of purpose, motivation and personally-defined success based on six core strengths. I've found that Positive Psychology Coaching, which incorporates strength building, is a potent, enjoyable, results-oriented way for people to get where they want to go. 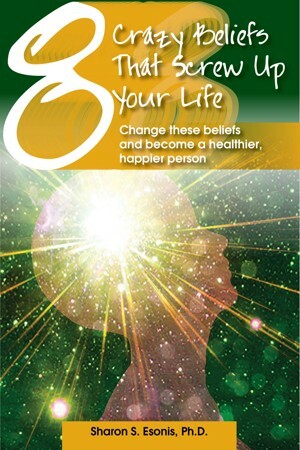 My latest book -- 8 Crazy Beliefs That Screw Up Your Life; Change These Beliefs and Become a Healthier, Happier Person -- is also available in print and e-book editions. Read the Introduction and a Free Bonus Chapter. Get the downloadable e-book edition from Smashwords here.